Are cookbook collections a thing of the past? Have you ever sat down and read an old cookbook, full of old recipes? I think many of today’s cooks tend to believe that having the latest and greatest information and recipes in the kitchen is the way to go. It seems that so many are turning to the Internet for a recipe rather than picking up a book. 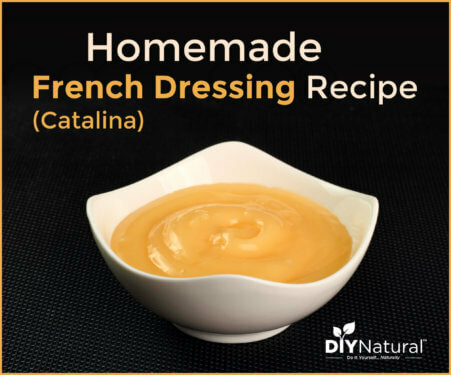 It is certainly convenient in a fast-paced world to type in an ingredient and return an unending search list of options. However, there is a charm and a purpose to old recipes/cookbooks that we would do well to honor. When my parents built their new house the kitchen floor must have needed extra reinforcement to account for my mother’s cookbook collection. In our family, these books are treasured heirlooms that are passed from one generation to another. Both my mother and I have a tradition of asking for a new cookbook each year at Christmas as well, so you can imagine what our collections are beginning to look like. I will admit to being romanced by a new, glossy cookbook, but, rambling through the cookbooks my grandmother used to put meals on the table over 50 years ago gives me more than a feeling of nostalgia. When this cookbook was written we were still aware of how to care for our digestive system. It was a time when butter was served over steamed carrots and some sort of fermented vegetable was on the table at every meal. The new cookbooks on my shelf either attempt to reclaim this lost cultural knowledge, or represent the newest beliefs in food and nutrition. They are filled with large, drool-inducing photos where the old cookbooks would have filled the page with instructions in proper entertaining or how to properly carve a turkey. Going through the Joy of Cooking today I found a section on how to cook with herbs. Today’s modern cooks may feel like they are being patronized by the level of instruction. I love all the tips and tricks and constantly find things I have taken for granted. 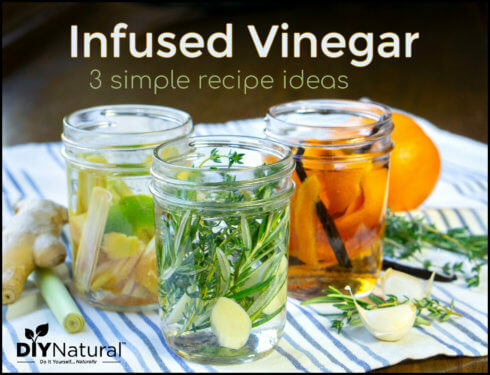 Blend all the ingredients together, separate it into several small portions and add an herb or herb combination to each. Let the mixtures sit for an hour and you can easily taste what all the herbs you’ve been curious about might be like in your food. Sounds like a fabulous party idea or afternoon tea with the kids. Will our children treasure the new flashy cookbooks filled with trendy diet ideas? I suppose there will be a few contemporary examples that might rise to the top. I will continue to comb the used and vintage bookstores for these priceless windows into our culinary past. I suggest you do the same; just try to beat me to the good ones! Do you have old recipes or cookbooks you’d like to re-familiarize yourself with? Which one? Thank you, Mary! I totally agree…. there is so much life and history in those books, and in the fingerprint smudges along the margins. So much love and life. There are some cookbooks that are easy for me to let go, the ones I got on discount at the local big box bookstore. The ones that were passed down or I found in a used bookstore are much harder! I think the storage unit is a good compromise. You can always swap the ones on your shelf with the ones in storage periodically so that they all get use from time to time and you have a fresh selection of much loved recipes. I love this article and I love the comments from readers. I’m another fan of old cookbooks, and I’m happy to find so many others who feel the same way. Long ago I received the Better Homes and Gardens cookbook (with the red and white checked cover) and The Joy of Cooking as gifts and learned a lot about cooking from those two. I also love the fundraising cookbooks from churches and workplaces. I love it when they have comments and anecdotes from the contributors. I also have handwritten copies of recipes my mom first got from other ladies when she was newly married and learning to cook. My grandmother and I used to sit at her kitchen table reading cookbooks and reading interesting recipes out loud to each other, commenting on what occasions they would be good for, or what we’d serve them with, etc. I have a lot of her cookbooks now that she’s gone. I wish I had had room for them all, but I already had a lot, and she had scads of them, so I chose some of her favorites. She was from Charleston, South Carolina, and was a loving and gifted cook. My favorite cookbook now is the one my grandmother’s mother gave her for Christmas in 1943. It is called the “Victory Cook Book Wartime Edition with Victory Substitutions and Economical Recipes for Delicious Wartime Meals.” I also have the diary that she kept during that time, and I love to picture her as a young wife and mother in Charleston during those war years. These old cookbooks are treasures. As much as I love the convenience of looking up a recipe with specific ingredients online, it doesn’t come close to the feeling I get with these old books. I have one that I found at an old book sale called The Deaf Smith Country Cookbook. It is a treasure of natural food recipes, all meatless. granddaughters for birthdays & Christmas. Great comments. I, too, enjoy the church cookbooks. I live in an area where ethnic recipe books are common. After you attend festivals, church suppers and the like there are recipe books being sold as a fund raiser. The old family books are still the best! For me the most precious ‘cookbooks’ are the handwritten collections of grandmother from her pioneering days 1926 onwards as a young farmers wife in Namibia. At least 15 different recipes for lemonade. I love the really old ones that tell you to use a handful of ssomething, or a lump of butter the size of an egg. I have a cookbook from Dalton,Georgia that is dated 1896. It is full of this and baking temps are slow ovens and hot ovens. Love these. Wow, Judy. That one sounds really cool! Most cooks back then didn’t have measurements other than what they “eye-balled”. Collecting recipes and books is really a sickness for me. I cannot stop. I have more that I have saved with good intentions but when I find myself needing a recipe, I always go to the cookbooks that have been passed down from mother to daughter for three or four generations now. The books are showing their age, discolored, held together by tape or whatever batter or dough has been splattered onto it’s pages. No matter how many books or recipes I have, I will never find anything like these ones. 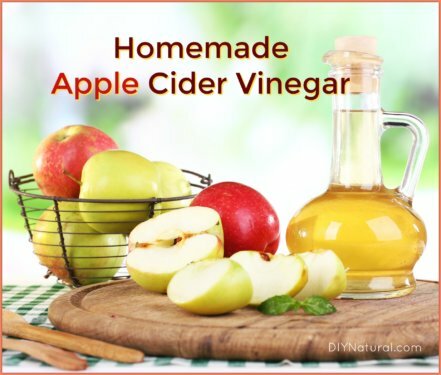 The recipes are simple and contain few ingredients which almost always equates to budget friendly and easily substituted or interchanged with modern ingredients is desired. Yes!! I have a few of them, also – I’m originally from the New Orleans area, so mine are from there, and I love them! (And I love the idea someone posted earlier of searching thrift shops when on vacation to find old cookbooks from that vicinity – what a great souvenir those would be, wish I had thought of it myself years ago! I have way more can huggies than I will ever need in my life, but can’t bring myself to toss them because they’re all travel souvenirs … yes, the really old ones sit in an old suitcase I have tucked away .. ). Those church cookbooks and ladies’ organization cookbooks are wonderful, with all their very localized recipes (and I love my latest addition from my former church in the N.O. area – there are some of my Mom’s favorite recipes, and my brother’s favorite recipes in there, and other friends from the church) – those are treasures! I love the old church cook books-the recipes are facinating and you see how they used lots of things we would never eat! and some are puzzlers-like Oleo! or when they say a box of cake mix-well what size? things like that crack me up. and lots of them are great recipes. Holy cow! You guys are awesome! I feel like I’ve uncovered a secret society and didn’t know I was already a member. Unfortunately…. for my husband…. there are SO many cookbooks you all have recommended that I simply MUST go hunting for now! I love that there are so many of us that appreciate the cultural history in an old cookbook! Even though I live in Australia, my favourite book is The American Woman’s Cook Book printed in 1947, six years before I was born.I have many old Australian cook books, but I have a saying if its not in my American cookbook it doesn’t exist. Its like a history book of how we cared about food and the people we cooked for, priceless. It’s good to learn I’m not alone! I never imagined so many others love old cookbooks. I started learning how to cook in 1976 with Joy of Cooking & it’s still a favorite. Others are my 1965 The Settlement Cookbook and 1956 Cabbage Patch, which is a collection of famous Kentucky recipes from local families as well as landmark inns and restaurants. What is wrong with wrapping your food in aluminum foil, before putting it in the oven? I always do this. I asked this comment earlier and have still not seen a reply. Would love to know! See my answer to Jayne above. High levels of aluminum in the body have been associated with neurological disorders such as alzheimers. Anytime your food is in contact with aluminum foil and is being heated, it is leaching aluminum in some amount. I like going back to The Household Searchlight Recipe Book. It was my great grandmothers. It went to my mom, then to me. I especially like that my great grandmother wrote recipes in the place for additional recipes. The book is from 1931. 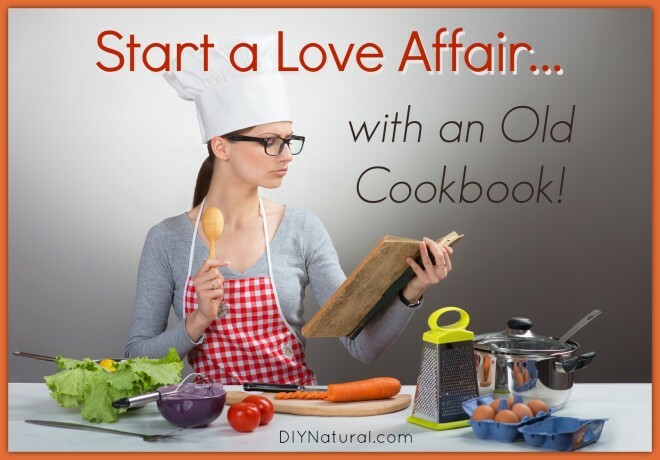 I use my old cookbooks all the time………….the new recipes call for ingredients that we don’t normally keep in the house and we do n’t care for the taste of most of them………..so call me old-fashioned….that’s fine with me! I love old cookbooks. I’m lucky enough to have two of husbands grandmothers cookbooks . Her family was from Poland and she had two cookbooks that she used regularly and they are filled with little handwritten notes on family favorites or changes she made in recipes. The most used book is ” Treasured Polish Recipes for Americans ” published in 1948 and the second one is ” Polish Cookery” published in 1958. There are some truly amazing recipes in these books and then some I will never have the nerve to try…. such as ” Calf’s Brain Croquettes” also called “Pulpety z Mozgu” which is served as a soup garnish or as a luncheon dish with white sauce. I love to randomly pick a recipe from the books and give it a shot. I love reading cookbooks! I usually pick them up at library sales for less than a dollar each. Being an AZ resident, one of my favorites that I found is Arizona’s Historic Restaurants and Their Recipes. Sadly, a lot of the restaurants are no longer around. The older cookbooks tend to have some history or interesting information about how a recipe came about and I love that. My first Betty Crocker cookbook ((1960) had a recipe for Pioneer Macaroni and Cheese. I don’t know what happened to the book and I would love to find the recipe. Do recall what made it different from the recipe they have in the later additions? I have books from 01 and one from the 60’s that is called dinner for two. Both have mac and cheese recipes but neither are called Pioneer Mac n Cheese. This was actually called Pioneer Macaroni and Cheese and it was baked. That’s all I remember, but it was such a good recipe. I found the recipe for Pioneer Macaroni and Cheese on this website. Looks pretty simple…and high in fat. Love my grandmother’s cookbooks (she made everything from scratch); I dislike Joy of Cooking intensely. After reading your column, I will reorganize my extensive old cookbook collection. Even with great recipes, many foods now have impurities. I have an organic herb garden, with tons of parsely, which helps in the kitchen. I love my cookbook collection! Other people read fiction, I read cookbooks!! One of my favorite treasures is the two-volume “Modern Encyclopedia of Cooking” dated 1947. Volume 2 features “The Family Hostess’ Creed,” “The Social Use of Food,” “Dishwashing Made Easy,” and a fascinating “Glossary of Terms Used in Cooking.” So much education, much of which is being lost as we lose touch with our ancestors and their way of passing down food and technique knowledge. Can I ask what is wrong with cooking your food in foil? Does it transfer aluminum? This is something I have not heard before. Unfortunately, cooking, grilling or re-heating in foil is a health hazard. We now know that heating anything, not just acidic foods will leach aluminum into the food. Aluminum has been associated with numerous neurological disruptions and diseases. I will still occasionally wrap something that is cold to go into the fridge, but otherwise foil has been relegated to crafting in my house. Thanks for the reply! What do you store frozen foods in? I was using foil, thinking it was healthier than plastic! I broke down a few years ago and invested in glass storage containers. Quite a bit of these go into the freezer. I still use freezer bags as my go-to. I don’t re-heat the foot in the bags, so I haven’t been too concerned… I trust someone will correct me there if I’m in blissful ignorance! The big issue with these is that they don’t hold the food as long without “freezer taste”, so that’s a draw-back. If I know I’m going to want to re-heat something in the container I freeze in, perhaps a casserole, then I freeze in glass. My cookbook collection is now nearing 200 and is a mix of old and new. I love reading the old books as much for the social history as the cooking, but also for some good tips (recipe for lemon- flavoured brandy from 1832 anyone?). As for not being able to find anything? I index and cross reference all my books (sounds mad but I enjoy it). You do need to be a fairly confident cook with the older books though, as quantities are not always given and the cooking instructions can be equally vague. All part if the fun! Incidentally, if a recipe no longer fits today’s diet guidelines, Just adapt! I do it all the time. When we travel I look for thrift stores or used book stores. Then I search for cookbooks that are from that area. These are my cherished souvenirs! Since becoming aware of cooking REAL FOOD, most of my cookbook finds are filled with old family recipes! Many have history of the area and drawings that make them good reads. I love looking through cookbooks. My collection is more than I need, but I did clean out when I moved some of the less healthy cookbooks. I also love the Fannie Farmer cookbook, as well as Betty Crocker cookbook. That one was falling apart, and I was fortunate enough to find a used one at a thrift shop for only a few dollars in perfect condition. Other cookbooks I love are my Gooseberry cookbooks, and one called Is it Soup yet as I love to make soup. My Fanny Farmer and Betty Crocker cookbooks are my go-to’s for old basic recipes – pancakes, cornbread, almost any kind of baked good! As my sister and I were nearing high school graduation time, in the early ’80’s, one year for Christmas she gave us the Betty Crocker cookbook, and later the Fanny Farmer. They are my least “fancy” cookbooks, but out of all of my cookbooks, those are the two I pull out most often. Three or four years ago I had a craving for homemade chocolate pudding and decided to try the Betty Crocker recipe for chocolate pudding (out of this cookbook I’d owned for 30 years but had never used that chocolate pudding recipe) – that was the smoothest creamiest pudding I’d ever made – I was amazed! I tend to ad lib with my cooking, enjoy just thinking up good flavors and creating a dish – but I love my Fanny Farmer and Betty Crocker for those old standard recipes for baked goods, quick breads, puddings, and such! Forgot too add – I thought I was alone in actually reading cookbooks! I see I’m in good company. My Fanny Farmer is my go to cookbook. It’s the old version and it’s cracked in half. I will have to try the meatloaf as it’s something I have yet to master. I have other cookbooks that I use too like the old Mcalls and Good Housekeeping. And some new books also – I recommend Kitchen Simple. I love going through old cookbooks! I’m now making my way through “Stillroom Cookery” printed in 1977. Good information on making cheeses, preserving meat and even making beer and wine. Next will be “Joy of Cooking” which was a birthday gift from my son. Are you using the 1931 or 1985 edition of Joy of Cooking? Thanks. Oops! I gave that one back to my mom. She has the supreme collection and I borrow from time to time. I’ll have to track that down! I have slowed my cookbook recipe addiction. I really learned to cook from cookbooks, especially the Joy of Cooking and Fannie Farmer. Joy was good to learn the how, but if I had to choose just one cookbook, it would be Fannie Farmer. Everything I have made from it is very good, especially the banana bread and meatloaf! (the trick for the BEST banana bread? The most discusting looking, black bananas, trust me…)What is difficult about having lots of cookbooks is when you want a recipe, it becomes a college research project, reading this book, comparing that recipe. The internet is easier. I too enjoy reading old books to catch a glimpse of the culture. My first cookbook was a Fannie Farmer. I recommend it to anyone who is just learning to cook as it covers terminology, techniques, etc very well. Great recipes too along with sample menus. Also, my son found some old cookbooks from the 1940s that he gave me for my birthday one year. Such a fun treasure to have.